this made me think..look wat the cat jus dragged in! I haev this pic..and its one of the cutest pics in my collection..
GOod pictures...MInd if I borrow them? 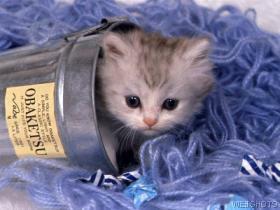 so u r fond of collecting webshots..
kitty kitty cute cute !!!! hey wat happened? why no bloggin? waiting for your next post!! !